The economic impact on an organization from any talent management initiative can be significant. Companies that fill open positions through talent mobility reduce staffing costs. An optimized talent mobility program can also deliver payback in three major areas with lower turnover costs, faster time to productivity, and increased employee engagement. Each area of payback overlaps as talent mobility is not a stand-alone practice. Internal talent redeployment connects with many aspects of overall talent management, especially talent acquisition and succession management. 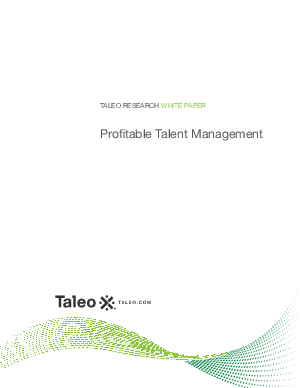 Understanding and quantifying the returns from talent mobility should be framed in that overall context.